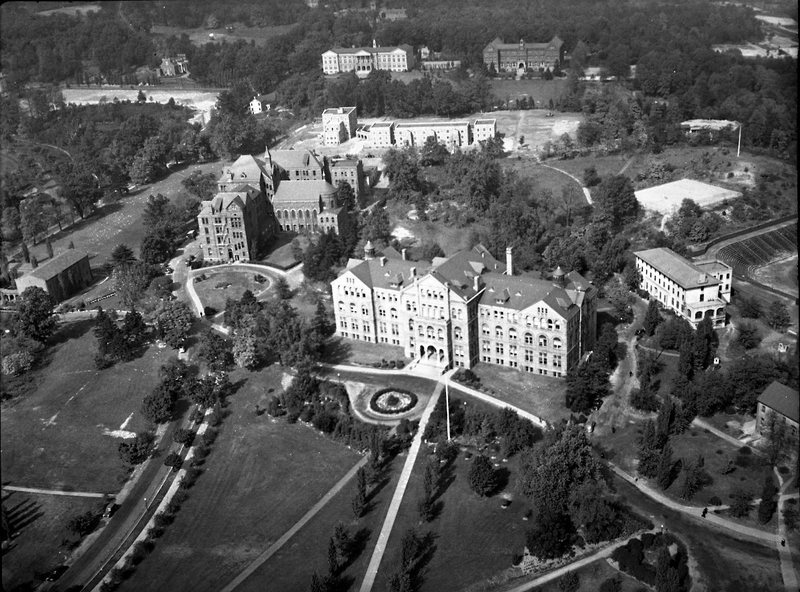 When Ellis arrived as a student, CUA was still very small, having an enrollment of not more than 892 students. Despite his initial misgivings, Ellis began teaching at CUA in 1934, although only part-time in history since he was employed by the theology department. Ellis did like Dr. Richard Purcell, though Ellis did not think him to be much of a teacher. Purcell (1887-1950)[iv] started teaching American history (primarily social history and Catholic history) and British history at CUA in 1920. He became associate professor two years later and full professor in 1929. He also served as Secretary of the School of Philosophy from 1922-1929, and as Secretary General of the university from 1931-1935. Quoted in: Shelley, Thomas J. The Young John Tracy Ellis and American Catholic Intellectual Life, US Catholic Historian, Vol. 13, N. 1, (Winter 1995), pp. 1 – 18, here p. 6. Ellis, John Tracy, Faith and Learning. A Church Historian’s Story. CUA: Department of Church History/Lanham: New York, London 1989, (Melville Studies in Church History. Ed. by Nelson Minnich) 13. [i] Born July 30, 1905, in Seneca, Illinois to Elmer Ellis and Ida Murphy Ellis, Monsignor Ellis received his A.B. from St. Viator College, Bourbonnais, Illinois, in 1927 and his A.M. and Ph.D. from the Catholic University of America (CUA) in 1928 and 1930, respectively, with a dissertation in Medieval Church history. While studying history at CUA, he was a student of Peter Guilday. He taught at St. Viator, 1930-1932, and the College of St. Teresa, Winona, Minnesota, 1932-1934, before returning to CUA to join the Sulpician Seminary (now the Theological College). Soon afterwards, he began teaching in the history department part time in addition to his theological studies. 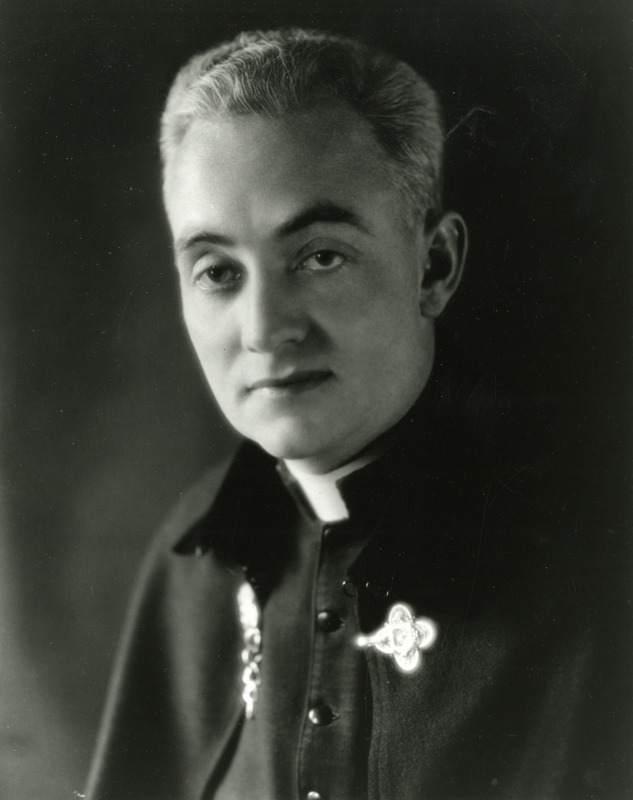 He was ordained a priest June 5, 1938, in the Church of Saint Mary of the Angels at the College of St. Teresa, Winona, by Francis M. Kelly, bishop of Winona. When asked in 1941 to begin teaching American Church history, he first took a one year leave of absence to prepare for his new subject matter, studying at Harvard and other institutions. This became a turning point in his career and settled him firmly within the field of American Church history. In 1947, he became ordinary professor of Church history at CUA. In addition to teaching, in 1941 he became managing editor of the Catholic Historical Review as well as secretary (later president) of the American Catholic Historical Association. He was also president of the American Society of Church History. Beginning in 1963, he taught at the University of San Francisco for twelve years. He was also a visiting professor at Brown, Notre Dame and Mount Saint Mary's universities; the Graduate Theological Union at Berkeley; and the Gregorian and Angelicum universities and the North American College in Rome. Returning to CUA in 1976 as Professorial Lecturer in Church History, he taught in both the theology and church history departments until suffering a stroke in 1989. He died October 16, 1992. Ellis's lectureship at the North American College in Rome coincided with the fourth session of the Second Vatican Council, and he was able to attend the council in the mornings and lecture in the evenings. A highlight for Ellis was September 21, 1965, when the Declaration on Religious Freedom, later promulgated as Dignitatis Humanae, was approved. In later years, Ellis wrote that this was a rare opportunity to see history being made. He was called the dean of American Catholic church historians, and it is difficult to underestimate his impact as a teacher to a generation of Catholic historians. He published twenty books, which include the Life of James Cardinal Gibbons, American Catholicism, Catholics in Colonial America, and The Formative Years of the Catholic University of America. In 1955, in a seminal speech and essay entitled "American Catholics and the Intellectual Life," he attacked the academic quality of Catholic seminaries, colleges, and universities whose shortcomings resulted from a "self imposed ghetto mentality." Some officials and educators were greatly offended but Ellis was later credited for the resulting renewal of Catholic scholarship. He also advocated more active roles for parishioners in church affairs and he called for greater acknowledgment of church transgressions such as the Inquisition. In high demand as a lecturer and orator, Ellis received numerous honorary degrees and awards throughout his long career, including the John Gilmary Shea Prize and the Laetare Medal. In 1985, Ellis was presented with the festschrift Studies in Catholic History: in Honor of John Tracy Ellis, on the occasion of his eightieth birthday, July 30. Pope Pius XII named him a domestic prelate (monsignor) in 1955, and in 1989 Pope John Paul II made him a protonotary apostolic, the highest honor for a priest short of becoming a bishop. Ellis' papers can be found at the American Catholic History Research Center and Unviersity Archives at the Catholic University of America: http://archives.lib.cua.edu/findingaid/ellis.cfm . [ii] Charles Hallan McCarthy (1860-1940) earned his Ph.D. from the University of Pennsylvania in 1898. He gave lectures in English and American history at the Institute of Pedagogy in New York City from 1902 to 1904, when he became assistant professor at the The Catholic University of America, retiring in 1939. He served as the President of the American Catholic Historical Association (ACHA) from 1922-1923. His most important publications include Lincoln's Plan of Reconstruction, (8 editions - first published in 1901); Civil Government in the United States (1914); and History of the United States for Catholic Schools (1919). McCarthy's papers are stored at CUA Archives: http://archives.lib.cua.edu/findingaid/mccarthy.cfm . [iii] Father Nicholas Aloysius Weber S. M., STD acquired a Baccalaureate in Theology at CUA in 1901. His publications include General History of the Christian Era in two volumes. A Textbook for High Schools and Colleges (1937) (Vol I: “Until the So-Called Reformation”; Vol II: Since 1517); Civilization for Modern Times (1955; with John L. White); and A History of Simony in the Christian Church: From the Beginning to the Death of Charlemagne (814) (1909). Weber also wrote A Short History of the French Catholic Congregation of East Minneapolis in Minnesota (1849-1949) (1949). [iv] Richard Joseph Purcell was born in Minneapolis, Minnesota, on December 17, 1887. Purcell was known as a brilliant student from an early age and excelled during his four years at the University of Minnesota. 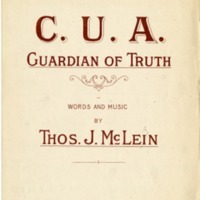 After graduation, he completed his masters in history at the age of 22 and taught history at CUA between 1911-1912. After teaching at the University of Minnesota, Purcell went on to earn his Ph.D. in Philosophy at Yale, where he wrote in 1916 Connecticut in Transition, for which he won the Justin Winsor Prize. After earning his Ph.D., he was head of the department of history at the College of St. Thomas in St. Paul from 1916 to 1920. Purcell would also earn a Bachelor of Law in 1939 and a Doctor of Law in 1949 from Holy Cross. Lastly, he was a member of the District of Columbia Bar association. At Catholic, Purcell became an acclaimed researcher and author with his many publications. From 1927-1928, Purcell was a Guggenheim fellow on Irish immigration, and in 1929 he published The American Nation. The American Catholic Church also commissioned Purcell to write on Church and state relations in America. Dr. Purcell also had great skill in writing biographies, authoring 175 entries for the Dictionary of American Biographies. He also published many articles on American Catholic history for Catholic magazines and scholarly journals. Purcell's work with Dr. Charles McCarthy, history department chair before him, on American social history prepared Purcell for his work as a historiographer for the Irish-American Society. In 1946, Purcell returned to Catholic University where he would remain until his sudden death on January 3, 1950, at the age of 62. Purcell was remembered for his extensive contributions to American immigration history, and Church and state relations in America. Purcell's papers are stored at the CUA Archives: http://archives.lib.cua.edu/findingaid/purcell.cfm.